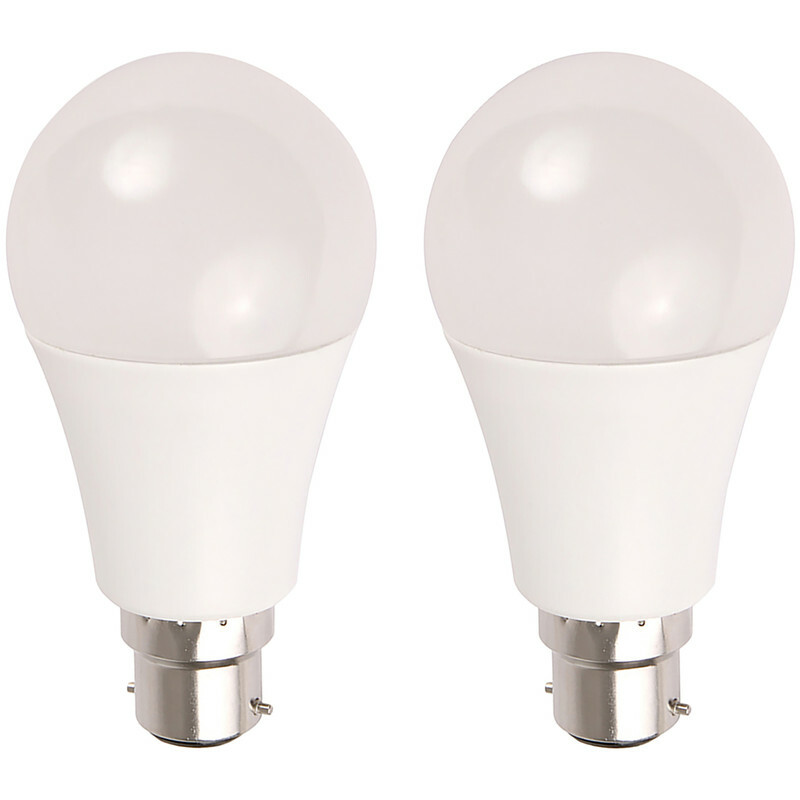 LED GLS Dimmable Lamp 10W BC (B22d) 810lm (2 Pack) is rated 4.2 out of 5 by 9. Rated 1 out of 5 by Pubman from No use at all I have no idea why, but these bulbs did not fit into a standard bayonet holder, had to replace with regular bulbs. Rated 5 out of 5 by derryman from First class products Have replaced a pair of 150W tungsten bulbs and do a better job for me. Rated 3 out of 5 by Beelzebub from Don't Fit in Some Older Lamp Holders Bought this to replace a lamp in an exterior bulkhead light but the diameter of the "shank" part of the lamp prevented it from fitting in the holder. I had to grind this down do do so. Rated 5 out of 5 by Chappo25 from Great lamps for price This is the second batch of these lamps I have purchased. I have converted all my lights to LED and these are very bright, instant lighting, and very easy to use with no excessive heat emitting from bulb, i would recommend these bulbs to anyone. I am now doing the same for my sons house. Lowering the total wattage from 1450w using halogen and normal bulbs, down to a full load of 182w using LED bulbs. I would not hesitate to recommend these bulbs to anybody.